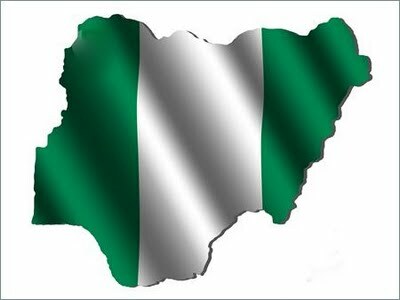 The problem with this country called Nigeria didn't start recently, it started even before the independence and has lingered on many years after the independence. Since independence, every section of the people went into nation building but it seems as if only a particular section makes progress while other sections are still struggling to. But the section of those making progress came from those considered a threat to the colonial masters. So a conspiracy theory was crafted and implemented to subdue those making progress not knowing that it would bring the nation to her knees. They started by making Tafawa Balewa the Prime Minister of the nation, rather than giving the position to a competent man but it was given to a mediocre. The hatred and strife later led to a horrible Civil War that resulted in killings and ethnic cleansing carried out by the section that were not making progress against those making progress in other to subdue them, but every machinery against them was all abortive. After the War, many attempts to reintegrate the country was hijacked which led to the seizure of investments of the perceived unwanted people, as far as giving twenty pounds to the section in order to render them economically handicapped. But many years down history that hated section has risen to be the most successful people in the geographical area called Nigeria, becoming captains of industries, owning so many investments across the length and breadth of the land. This led to the renewal of the hostilies that have been evident in the closure of many industries located in the region and denial of federal government presence in the region. The economic strangulation policies led to the deliberate closure of Nkalagu cement site, Enugu coal mine, closure of the Limca Beverages, Ibeto group and companies, feud between Innoson Motors and the GT bank and the DSS saga with Ifeanyi Uba. Those who feel disgruntled with the progress of the perceived enemies have failed to respect and allow peace to reign and benefit from the progress made by the holy people of God. It is a strong signal that this country is not working because it failed to recognise those who make progress in revamping the economy of this rotten country. Biafra is the only solution to this problem we are all facing in Africa. We own the industries and know the Science and Technology that is required to make a nation great. Give us Biafra and see a new Japan in Africa which invariably will close the gap between Africa and the westerners and will also stop this Africa over dependence on the western world. A saying that he who holds someone to the ground holds himself too. The Northern oligarchy controlled government thinks that they are doing injustice to the Igbos not knowing that they are to be affected also. The most abominable curse that can befall anyone is not having the ability to think right and I believe that the northerners are under such predicament. Nigeria has not worked and only the total balkanization of the union to allow the indigenous people who are held under the contraption to emerge.